A Gent in Training: Single-Serve Never, Pour-Over Forever! Like so many modern trends, K-Cups and their ilk strike me as insanely expensive, and unnecessary. How expensive? According to the New York Times, most single-serve coffee costs at least $50 per pound. That's about double the price of a really good whole bean coffee. 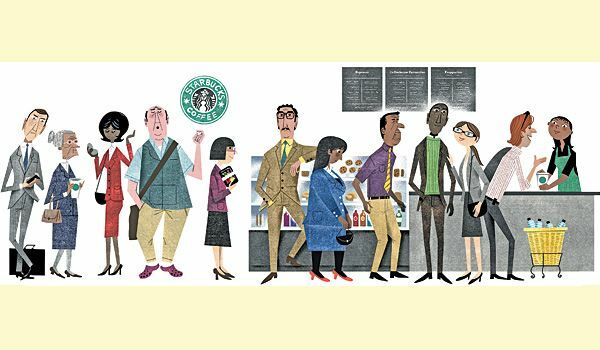 I find it a bit disturbing that people now think of coffee as something that is prepared by others and served to them at an enormous mark-up. Don't misunderstand me: I love a good coffee shop. But I know that coffee shop coffee is a luxury. Plus, I actually do know how to make a decent cup of joe. As you can guess, I do not use a single-serve coffee maker. I use the classic, tried-and-true pour-over or manual drip method. An article from (again) the New York Times seems to imply that pour-over is some sort of newfangled import from Japan. It isn't. In 1908, Melitta Bentz, from Dresden, Germany, created one of the earliest pour-over coffee makers which she had patented as a Filter Top Device lined with Filter Paper. The Melitta company was born, and it is a Melitta pour-over that I use at home and work to make coffee. There are other pour-over coffee makers of historic interest. 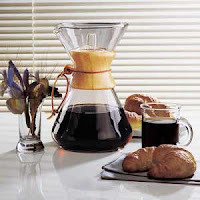 The Chemex was patented by Peter Schlumbohm in 1941, and within three years was on display at the Museum of Modern Art in Manhattan. It was selected by the Illinois Institute of Technology as one of the best-designed items of modern times in 1956. The Chemex was also James Bond's coffee maker of choice in Ian Fleming's From Russia With Love. The newer kid on the block would be Hario out of Japan. 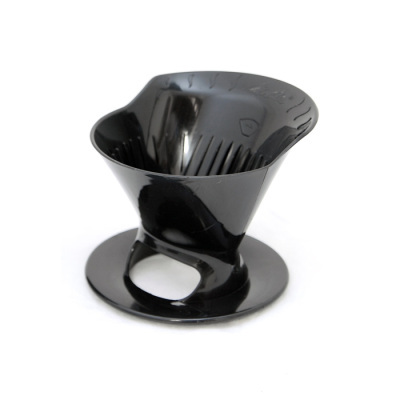 They have managed to win the hearts of many pour-over coffee enthusiasts. 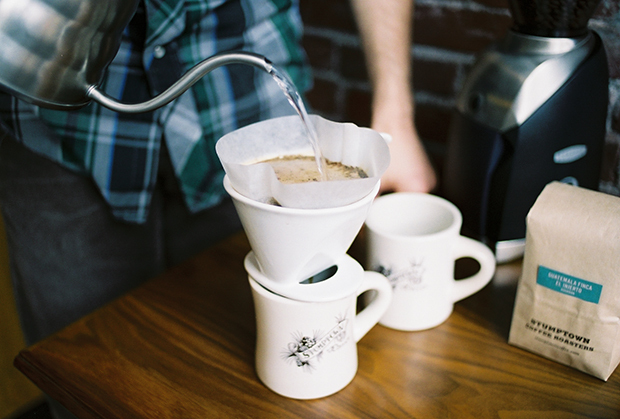 How does one go about making pour-over/manual drip method? There are plenty of decent guides online. The folks at Stumptown Coffee have a particularly good one, using a Melitta. Do yourself a favor: Save your money and skip the price-gouging single-serve coffee. Pick up a pour-over system (and perhaps an electric kettle to boil the water) and learn to make great tasting coffee yourself without any high-tech gadgetry.